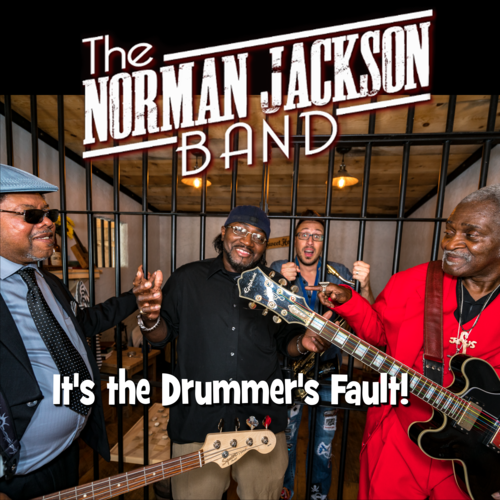 The Norman Jackson Band were third place winners at the 2016 International Blues Challenge. Hailing from Springfield, Illinois, they are an exciting and energetic group that carries a pedigree deeply rooted in traditional blues and also proclaim themselves as “the baddest soul band in the land!” Having originally lived in Chicago, band leader Norman Jackson was influenced by some of the best blues musicians of his time, while also earning soul credentials working with bands like The Chilites and George Clinton’s Parliament Funkadelic. And it all shines brightly on the band’s latest release, It’s The Drummer’s Fault! Saxophonist Rick Shortt has been mentored by Jackson since he was twelve years old, and living in Chicago. This man is a ball of fire on-stage who leaps about, jumps down onto his knees and will even occasionally play his sax behind his back. Yes, behind his back. I kid you not, I have witnessed him do it myself. On the new album you can clearly hear his prowess, especially on the instrumental “All Alone” where Shortt stands tall. Bassist Danny Williams and Jackson’s nephew Ron Brown better known simply as “The Boogie Man” on drums make up the rhythm section. This quartet works so well together that they’re like a well-oiled machine. Just like that couple who finish each other’s sentences without missing a beat. They’re joined at the hip musically. This is vibrant blues perfectly melded with a soulful flair. 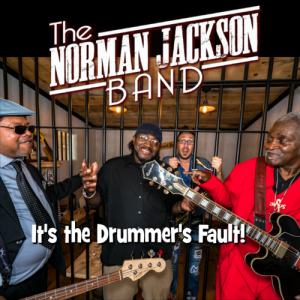 From the funkiness of the opening number “Norman’s Blues” to the down and gritty finishing track “Snake In My House,” It’s The Drummer’s Fault!” is a disc that is filled with traditional Chicago-styled blues — only coming from a little further down-state. It should go a long way at doing exactly what the band intends for it to do. And what that’s for you to get your happy on!